The ocean’s steady advance onto land threatens to inundate some island nations and US military bases in the equatorial Pacific Ocean, according to a research paper published on Wednesday, Science Alert reported. 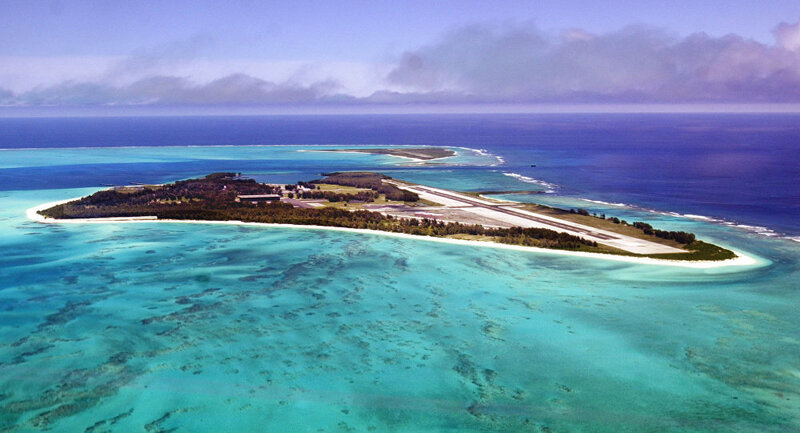 The study, conducted by an international team of scientists and partly funded by the Pentagon, focused on the atoll island of Roi-Namur to learn about the vulnerability of the island, which is home to a US military base which supports some 1,250 American military personnel, civilians and contractors. The Roi-Namur base is part of the massive Ronald Reagan Ballistic Missile Defense Test Site, which radar systems keep an eye on space objects entering the Earth’s atmosphere, including ballistic missiles. While seas are currently rising by 3.2 millimeters per year are and are expected to rise even more rapidly in years ahead, the low-lying Roi-Namur Island, which is just six feet above the present sea level, has a good chance of avoiding total inundation this century. However, specialists are concerned about an increasing ability of large waves to spill over the island and sink into its groundwater. The research suggests that saltwater contamination of the island's aquifers would probably occur after just 40 centimeters (about 15 inches) of sea level rise. Researchers believe that the critical moment for a high warming scenario will be when inundations caused by tropical typhoons could make the island's groundwater undrinkable. This would necessitate the relocation of local residents and the US military personnel. Expensive equipment, such as the $1 billion Space Fence radar installation, currently under construction to keep an eye on space junk in an effort to keep orbiting satellites and astronauts safe, could be seriously damaged. According to Hilde Heine, a Marshall Islands president, there is no ignoring the effects climate change already is having and the local government is doing what it can to protect its vulnerable shorelines, building new sea walls. Another critical issue for the island is the deteriorating state of the surrounding coral reefs, from which they are constituted. Reefs break waves, which help prevent over-washing events and being weakened by acidifying ocean water.